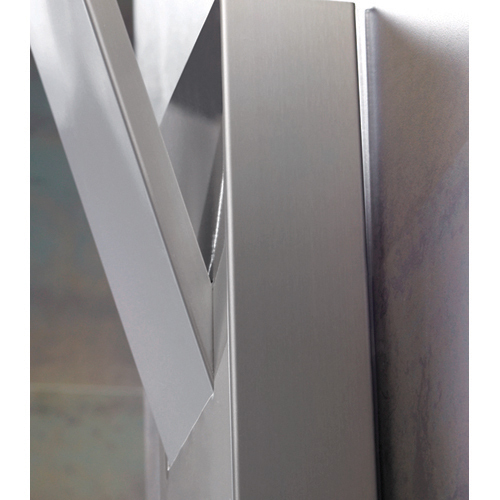 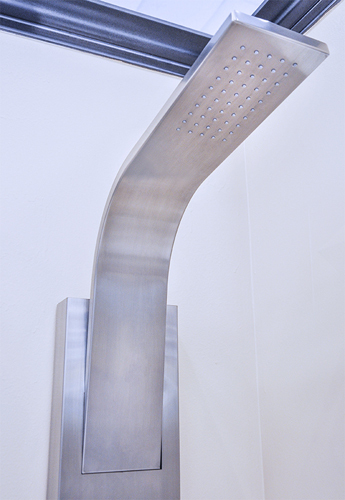 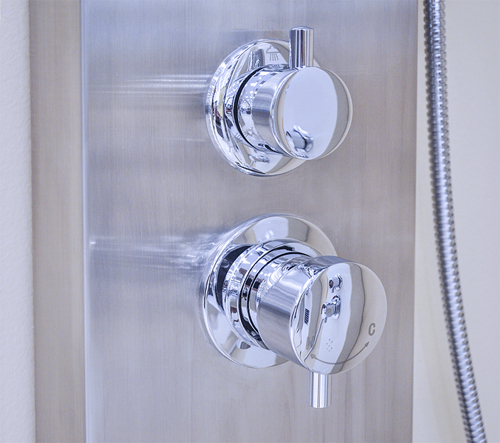 The Zeni modern shower panel consists of a solid brass core and features a sleek brushed nickel finish that ties in beautifully with any modern look. 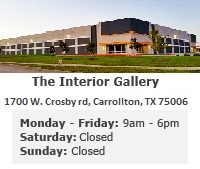 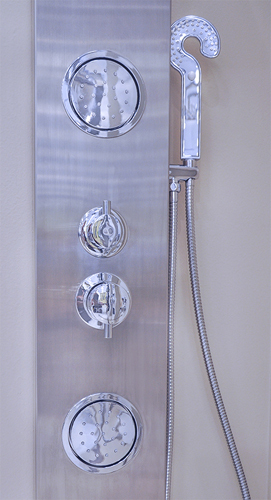 It was designed to exquisitely offer a state of luxury, as well as foster an atmosphere of rest and relaxation. 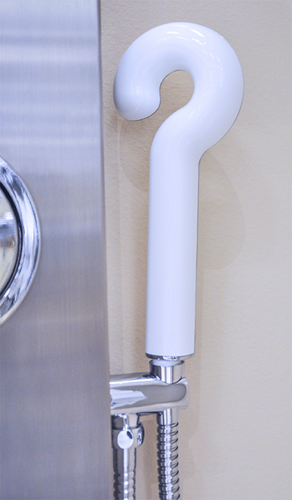 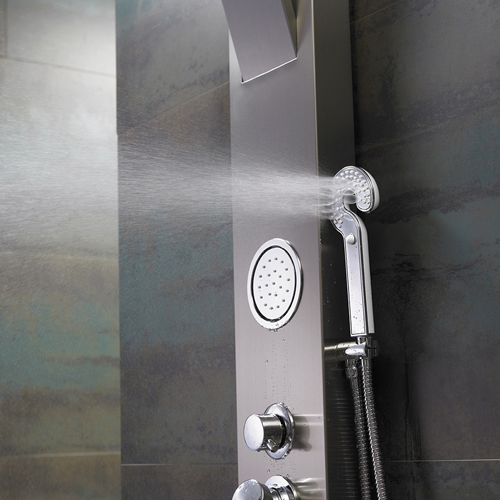 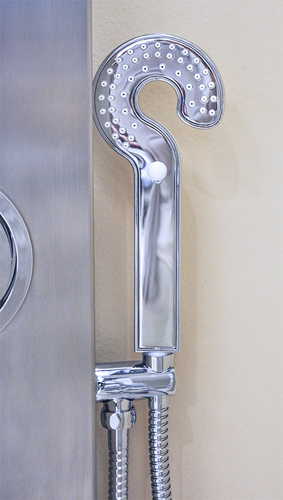 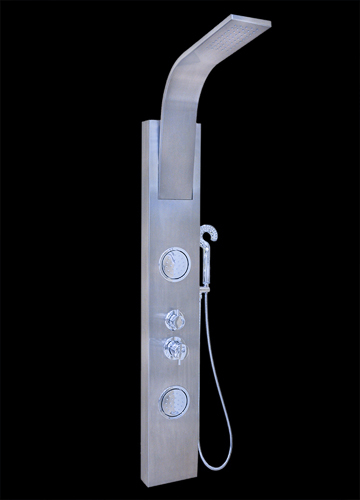 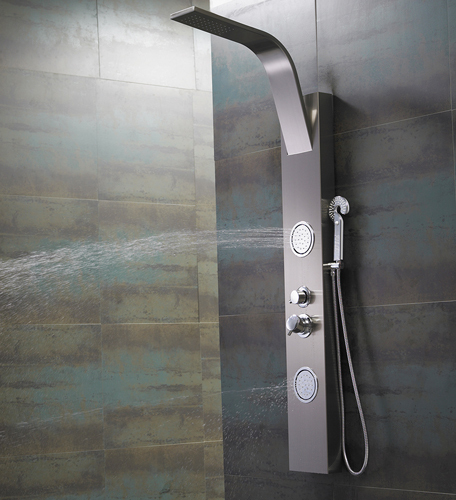 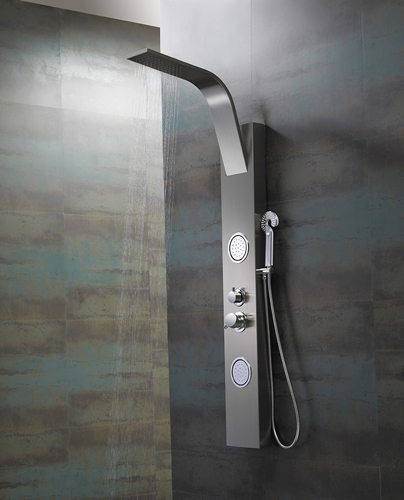 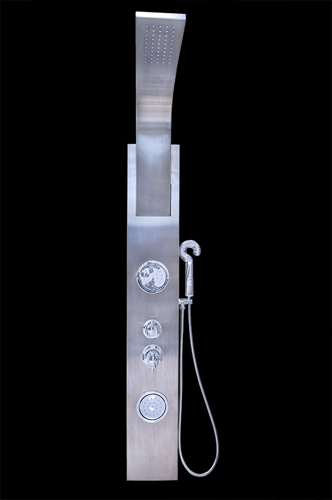 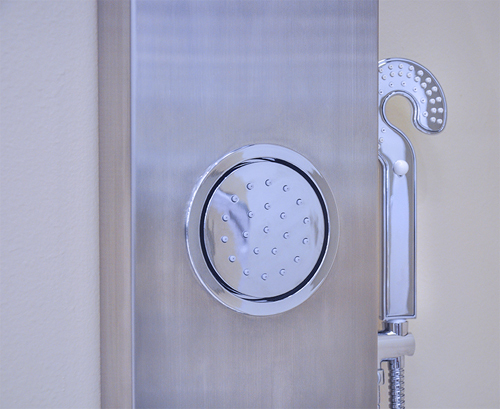 This modern bathroom shower panel system features 2 jet massage sprayers with rain shower head, modern hand shower sprayer and elegant brass mixer handle.